We welcomed University of Edinburgh MSc Medieval History students today for a tour of New College Library and the chance to see one of the texts they were studying, the Life of St Cuthbert, in New College Library’s first edition of the Acta Sanctorum, which was on display in the Funk Reading Room. 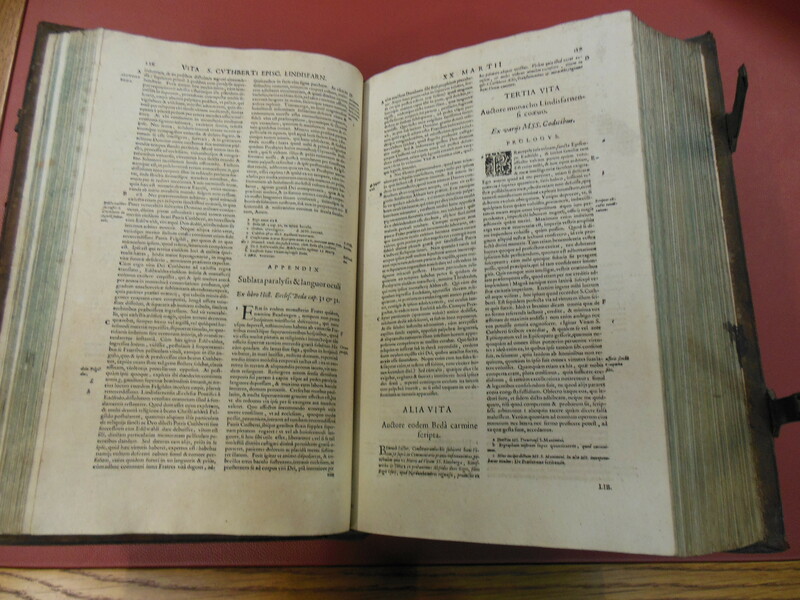 Published in the seventeenth century, the Acta Sanctorum, which contains the first printed edition of this work, is a huge Latin work in sixty-eight volumes examines the lives of saints, organised according to each saint’s feast day in the calendar year. This image shows the large folio volume, still in its original leather binding with metal clasps, open at the Life of St Cuthbert. 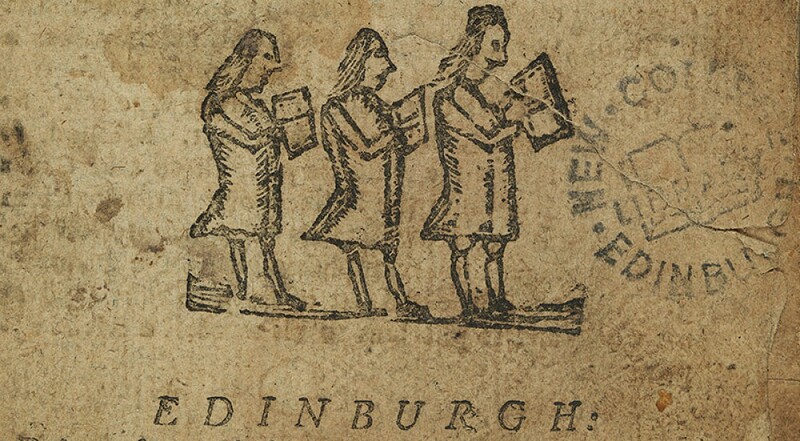 The Acta Sanctorum is also available online to University of Edinburgh users. This entry was posted in Rare Books at New College Library and tagged church history, Funk, Latin, medieval, new college library, online, rare books, saints, seventeenth-century, University of Edinburgh by cloverodgers. Bookmark the permalink.